What’s new in My River North 2.0? Simpler download process – no more pre-registration. Simpler offer redemption process – no more codes to enter. Automated ID and password reset function. Expanded user community – all app features are available to all users. New features allow users to easily recall their favorite businesses. 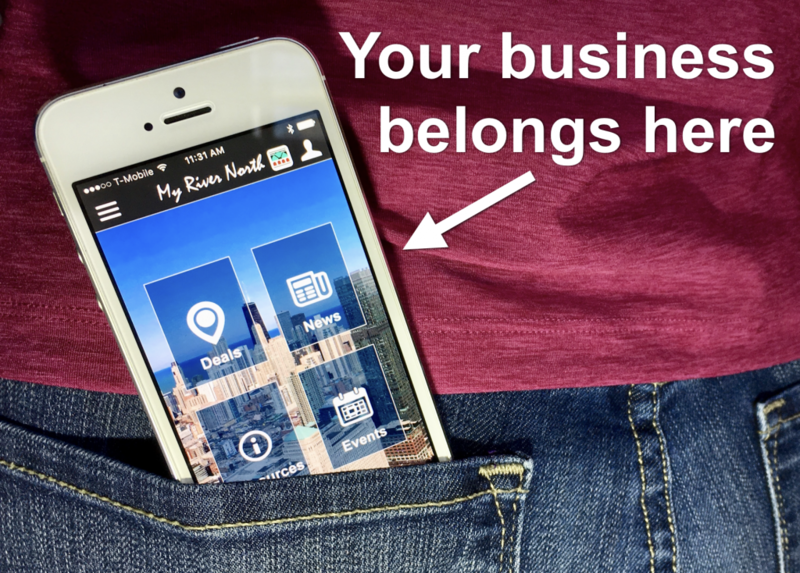 Businesses – My River North puts your business in the pocket of 1,000’s of local residents- 24/7. The cost is amazingly low and signing up online is easy, just visit our Become a Sponsor page. Residents – My River North is available to everyone, but was designed with local residents in mind. If you want to stay up to date on happenings in our great neighborhood – this is your one-stop resource for all things River North. 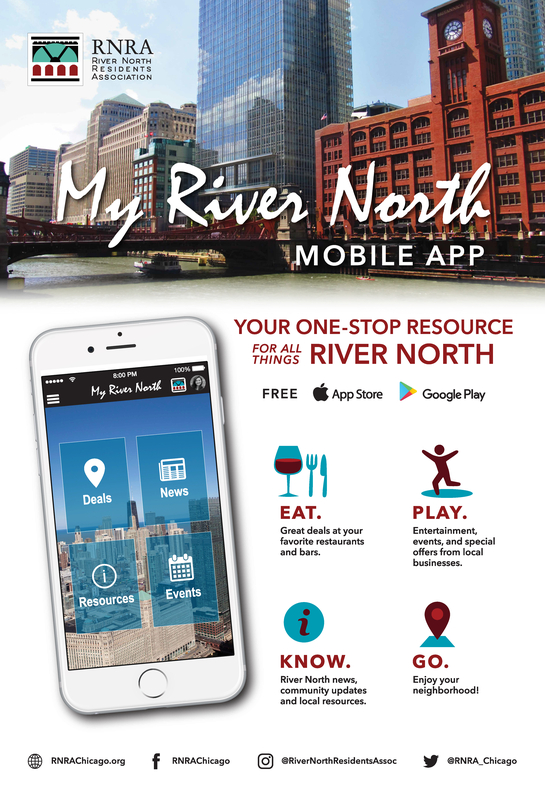 Do you have a favorite local business that you would like to see listed on the “My River North” app? Let us know by emailing us, or by posting on our Facebook page.